Let’s Blame the JEWS! The Rise of Antisemitism…. 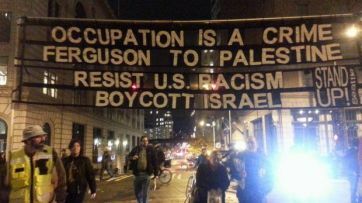 The connection between Ferguson and “Palestine” (and the global jihad in general) is clear: both the Islamic supremacists and the Ferguson rioters think that the American system is corrupt and must be brought down. The Islamic supremacist presence in Ferguson is thus akin to jihad recruitment in prisons: both attempt to capitalize upon resentment toward America and American authority, and channel it into jihad. The rise of Antisemitism has gone global and now has reached the shores of the USA. It amazes me how the Jihadists have hijacked the Ferguson riots and attempted to link it to their own cause. 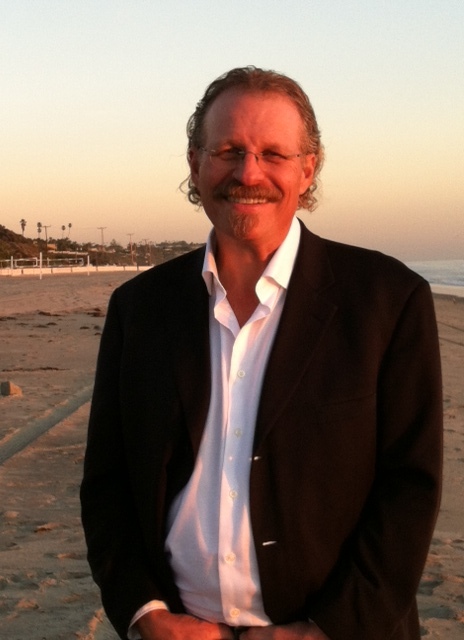 A few months ago I was speaking to a homeless man who lives in his car near Zuma beach. He was cordial until I brought up the ongoing terrorist attacks from HAMAS. His face twisted in anger and he began to swear and curse the Jews, stating emphatically that the war was all their fault and the Palestinian people were being oppressed so they had every right to attack Israel. Of course the homeless man would hear none of what I was saying and insisted on the Jews being responsible for HAHAS launching their rockets. Pretzel logic ruled the day…. Back to Ferguson: The banner above has nothing to do with what is going on in Ferguson. The radicals are attempting to hijack the event for their own cause and the sign tells us everything, to boycott Israel. Why should we boycott Israel? Because they defend themselves against thousands of rocket attacks? Because in both the charters of Hezbollah and HAMAS, the language there calls for the destruction of Israel? Because HAMAS spent millions of dollars on tunnels that reached across the border into Israel and were going to be used to kidnap Israeli citizens and hold them for ransom? Remember land for peace? Israel gave up the GAZA strip and while they were withdrawing from the land, the mortar fire began. So much for land for peace. We covered this in our Watchers series. In closing todays post. As I pointed out in a previous post. There is a supernatural component to what we see going on. Israel has been collected back into her ancient homeland. This was prophesied in the book of Amos. This is a promise from the real God. The God who transcends time and who calls out the end before the beginning. The Jews, at some point, will look at Him whom they have pierced and mourn for Him as an only son. The Arabs will see Him too. Yahsua/Jesus is coming again and I would posit it’s soon and when he returns the healing between Isaac and Ishmael will manifest. In the meantime antisemitism has once again reared its demonic head except it’s not in Germany or Iran it’s in Ferguson. This video proves my point and while I have posted this several times, it is a poignant harbinger of what the future holds. We are now shipping On the Trail II. The feedback is starting to come in! Received your book yesterday and all I can say is WOW! Did not expect all the color photos. Very nicely done. Thank you and will look forward to any new books. 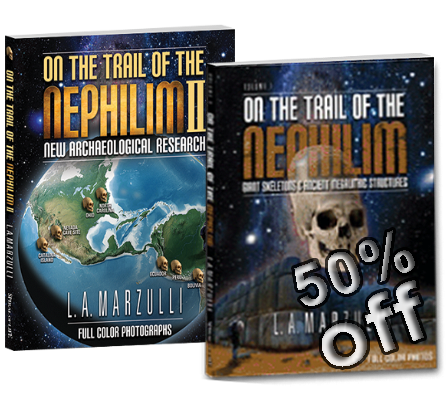 The new book, On the Trail of the Nephilim, is excellent! It’s beautiful and I can’t put it down. God bless you! keep up the good work,its helping all of us!!! August ? : Prophecy Conference. Details pending. ← Jesus is Coming Again Real Soon. Hi LA , I live in Watford, just outside London UK. I was waiting for the bus to take me home after work last Thursday, when a man approached with a clipboard. It was dark and he was working the queue getting signatures opposing cuts to the bus service. I and many others we’re happy to sign but it was only when I got on the bus that I saw that tucked underneath the opposition to service cuts was a paragraph in support of Palestine. This was never mentioned at the time of signing and I was really dismayed to have put my signature to this. How low and sneaky was that? In a way like a three strand cord,,,,Jews,Christians,God,,,,,there is strength. Good video,,,,,Satans goal is to seperate……The Jews and Gentiles…..you are either one or the other,,,we are all brothers and sisters on this earth. Wow. That was a powerful video. The people responsible for that banner that links Ferguson, MO, to Palestine are not the residents of Ferguson. Agents provocateur are busy at work in Ferguson and many other cities around the country, trying to stir up strife and incite riots. The same spirit behind that banner is at work in ISIS/L: the same spirit currently residing in the White House. It’s the same thing we saw in the wake of Hurricane Katrina except that really went next level and I hope it doesn’t happen here, too. Local organizers in the Organization for Black Struggle (OBS) specifically made a call for Palestinians and solidarity activists to join the weekend, as a result of years of local cooperation between OBS and the St. Louis Palestine Solidarity Committe. Even in the MSM now you can’t ignore the obvious overtones of clear fomenting and agitation from numerous outside elements including some that connected to radical Islam to have these “protests” in 128 major cities throughout the USA. Where’s the blowback? When do people get sick of this? When do people get sick and tired of “well a certain element in society is going to riot if they don’t get what they want” even when you put a mountain of facts right in their face? What a dead giveaway this is: What does Israel and the Jews even have to do with Ferguson and what’s going on there and yet there it is? C’mon. There’s WAY more than meets the eye going on here and none of it is good. But hey it’s Turkey Day! Shopping! Food! Football! You think the folks in Ferguson who got their businesses burned down by a bunch of lowlifes are going to have a good one? Think again. The Al-Jazeera America television news network seems intent upon using this fraudulent video to inculcate its viewers with the false belief that Israel is an enemy of America. But in fact it is Al-Jazeera America, whose owner/operator, the government of Qatar is a major funder of Hamas, the terrorist Palestinian Islamic Resistance Movement, and past supporter of Egypt’s Muslim Brotherhood, whose government was overthrown by the military after tens of millions of Egyptians had demanded the fundamentalists’ ouster, that is itself a problematic news source for American viewers. The network’s ongoing anti-Israel propaganda is contained in its technically high-quality presentations including numerous “news hour” style broadcasts. The network’s collaborators include National Public Radio (NPR) – partially supported by U.S. taxpayer dollars – which provides promotional endorsements during newscasts for Al-Jazeera America broadcasts. The real fusion is ‘agreement’. How can two walk together unless they be agreed? Having a love for mankind and praying for each other is not the same as coming into a spiritual agreement with the same people. JESUS said, You must be born again. Galatians is all about Spiritual Israel. Yes, pray for peace for all people everywhere, because GOD has called us to peace. But do not delude yourself or others into thinking there is going to be a global peace under mans abilities. The Fusion and Transformation of mankind. Here’s my wonderment: if Protestants want Ecumenism, why don’t Protestants just go all the way and become Catholic (again). Both ‘churches’ celebrate Christmas and Easter and worship on Sundays. All believe JESUS is the son of GOD. I think anyone who is blaming Jews for anything are referring to “Synagogue of Satan Jews’. Bottom line there are only two groups of people: Saved. Unsaved. Call Detroit was a dangerous setting, capturing good intention people in a nasty net. The tares, wood hay and stubble are destined for the fire at the time of the harvest. Wow!! I’m perplexed that Jewish anti semitism has been dragged into the Ferguson demonstrations turned rioting. Racism is a cancer that needs to be obliterated. Only God can heal that type of disease. I pray He does it soon before more innocent people and property are damaged. Dividing the country is what the enemy wants to do. Professional provocateurs are at work in Ferguson. The Fire Chief has stated that some fires burned too quickly and called it arson. Evidence given in testimony during the Grand jury deliberations has been released. I’m reviewing it already to get a perspective on what caused them to arrive at the decision not to indict. I will note that one autopsy report shows multiple “gunshot” wounds” and the toxicology report indicates Mike Brown had cannabis in his system but no other drugs. His overall organs were in good condition including his heart. Given his 289 lb weight, he was in fairly excellent health. Officer Wilson had no drugs in his system. His system does show he may have kidney problems because he has a high levels of creatinine. I bet his Adrenal Glands ( sit above the kidneys ) …. are probably “toast” from all the adrenaline and continued pressure from this case. BTW……..how has your sister been doing of late ?? Feeling strong and healthy is my hope! More people (commentators on YouTube) are now asking more relevant questions because they have reviewed the documents. I am still very aware that the Ferguson situation has been commandeered for political purposes. I had been watching the live streaming by reporters from Infowars.com, Jakarie Jackson and SSgt Joe Biggs who have been doing a superior job for the past 2 1/2 weeks, exposing racism elements, violence, journalistic blackouts by the police state military forces back in August, and the upcoming widespread demonstrators/riots spreading across America. They got accosted last night and Alex has recalled both back to Austin. @ Kirk: Hey! Adrenal Glands are a-ok on both Brown & Wilson. re: my sister…She’s ok. She is still healing from the surgery, she can’t fully run and has mentioned she is a bit slow to move around. She speaks very strong vs prior to surgery when she was very weak. She sounds very clear vs she was sounding a bit woozy prior to surgery. Healing takes time and she now has time to play around with. Thanks for asking. Hang in there, you’re in my continuing prayers for your own miracle. Certainly how every single gentile nation treats the JEWS is directly proportional as to how God deals with that specific nation and individual. Genesis 12:1-3 is ….. POWERFUL PROPHETIC TRUTH ….. just as Genesis 17 is indeed coming full circle in these end times. Yahweh’s Covenant with ABRAHAM, ISAAC, and JACOB [ ISRAEL ]… is still being enforced ….. and “The Promise of God” is an …..
…….EVERLASTING COVENANT to their descendents and also concerning THE LAND….which is an EVERLASTING POSSESSION of the JEWS. Ezekiel 36 is just one of many POWERFUL LAND PROPHECIES CONCERNING ISRAEL and THEIR LAND. Yahweh has NOT forgotten….and VERY SOON …. Ezekiel 38:23 will come to pass !!!!!!!! That day is fast approaching when GOD ALMIGHTY will NO longer remain “silent”…..but in THAT DAY……GOD WILL BREAK HIS SILENCE !!! ……………………………….for he who touches you, touches the apple of His eye. 9“For behold, I will wave My hand over them so that they will be plunder for their slaves. Then you will know that the LORD of hosts has sent Me. 11“Many nations will join themselves to the LORD in that day and will become My people. Then I will dwell in your midst, and you will know that the LORD of hosts has sent Me to you. Ohhhh to see THAT DAY ………. when The JEWS will have rest from all their enemies ….. because JESUS has COME to dwell in their midst !!! Yes,, what a day that will be ! The enemy has most assuredly shown his hand, how can this be the Jew’s fault? Why the Jews? Caroline Glick explains the roots of genocidal Jew hatred <<< She speaks it the way it is !!! I like here spunky attitude too! one of the words connected to Zion in Hebrew is signpost. pretty sure that the battle over the jews is pivotal in many many ways. i think it relates to alot of issues in life: equality, morality, liberty, community, balance, creativity, work, play, worship, human identity, spirit/flesh, faith, grace, love, truth, wisdom, even eternal salvation. somehow god has alot of stuff wrapped up in this battle, which is perhaps why it will be the pivotal point to his return. i sometimes interact with friends, acquaintances and on social media regarding this battle. i have alot to say about it (! ), and am fascinated in plumbing the depths of its mystery. it seems this will be THE natural issue of the ages for mankind. my question is, to what extent do we treat it as a natural issue, and get involved in the fight, and to what extent do we understand that it is very much tied to a spiritual issue? do we share jesus first? or israel? or both? do we reach for the head or the heart? ofcourse many of use will have a large part of our friends and acquaintances who do not agree with us, or think that this issue has anything to do with stable, rational people. anti-zionism (whether it is expressed or in effect) is found even in much of the church (believers). i think i still have not found a balance between sharing and campaigning, loving and fighting, praying and talking, knowing and doing. how do we argue someone into the kingdom? how do we share the truth without arguing? how did paul do it as he went from town to town “reasoning and persuading concerning the things of the kingdom of God” and “how I kept back nothing that was helpful, but proclaimed it to you, and taught you publicly and from house to house, testifying to Jews, and also to Greeks, repentance toward God and faith toward our Lord Jesus Christ”? how do we preserve relationship while sharing truth? is it no surprise our cultural prohibition on even mentioning politics and religion?!!! plse someone tell me how to post video 🙂 http://www.factualisrael.com/pleading-land-today-strong-1975/ – amazing appeal from a Leftist Zionist Libyan Jewish artist brought up in Italy, Germany and France. circa 1975. One way to get a Youtube video is opposite click on video, choose -Get video url- copy the video link from the box that will appear, then paste video url -with or without- quotes to the comment section of blog. “http://elderofziyon.blogspot.no/” then refer to which video one must see. If you post an “http link” with exception to -Youtube videos- without quotes, your post will go to the pit of moderation where dwelleth no good thing. **If for some reason during this process you have a “peido de cérebro” or “pum de cérebro” strange things, weird sounds & smells will follow. Example follows: Youtube video without quotes & bonus Peido/Pum from the Pastor.. The War on Britain’s Jews – Richard Littlejohn FULL! <<<>> This may open your eyes just a little bit more as to what JEWS have to deal with in daily life. I rejoice in the revelation of Christ during His transfiguration! Not in the least that Moses and Elijah were there. Moses because his natural body had passed long ago and Elijah because he still had his natural body, as best we know. That and many many scriptures point to the people of God dwelling with Him in heaven including the saints of old, and including those before Abraham, Isaac, and Israel. So I’m grateful to be grafted in among them that certainly includes the reserved remnant of Israel throughout all generations, as well as those from Adam, Eve, Abel, on to Abraham and Sarah, along with Enoch and Noah’s family. Can’t say I believe that includes Cain, or Hagar, or Ishmael … though we don’t know the whole story yet. I love that phrase — “the saints in light.” …and “Jerusalem above.” …and that “greater cloud of witnesses.” My life is with them, not with the passing distractions of this world. The promises, including the land promises — are to them — as must be while each generation likewise passes in the flesh. And it may yet be that New Jerusalem carries some portion of earth itself into the New Creation. The roots go well back before Israel to Adam, who is also a son of God. But our access to all comes by way of Yeshua Messiah. By His blood and by His grace — and what He does. I know we really don’t do what we should nor anything that measures up to His perfect standard. Without Him we are nothing. And I’m happy to say Yahshua or Jesus. I say Yeshua because of the hebrew language today. God-saves, Yah-shua, Immanuel, Jesus of Nazareth are all good to me. Wonderful names!! And I still want to embrace Him and simply say physically face to face: Y’shua, (as friend and family). There are Two Witnesses coming to be certain, that Malachi be fulfilled. And as John and Elisha shared in the spirit of Elijah — even the Spirit of Prophecy from Christ … so too shall we testify in the spirit of the Two Witnesses — also from Christ. The seal is that He has given us His Spirit and in Him we are knit together as One. Yeshua’s prayer is being done, and will be throughout this earth soon — and soon enough, also well beyond. Thanks to the Most High! The fox news coverage of Furgeson was amazing. The prez speaking on one side of a split screen and buildings ablaze on the other. An image that brings to mind the ashes from which the phoenix will arise. The nwo is right on schedule, doesn’t anyone in the media have a biblical perspective of what is really happening? Here is a picture of the “Poppy goddess”. The hands are positioned in a manner similar to the Ferguson protesters. Just thought it interesting. ^^ This goes along nicely with that awesome video LA posted. also Isaiah 19:25 which shows gods heart for the middle east, and prophecy for the millennium. Taste and see that the LORD is good. How happy is the man who takes refuge in Him! 🏃Ferguson January White sales gain Palestinian support. Black Friday: A day Americans are willing to kill over materialistic things just a day after celebrating what they’re already thankful for. I’ll be celebrating Black Friday in my traditional way…. by completely ignoring it. Black Friday has had such an important impact on the American culture that Brazil decided to employ it here. Canada has adopted this ” black friday” also. Tired of being manipulated by big bussiness,,,in how and when we spend our money. Tired of what ” christmas ” has become . We have scaled back to a simple turkey dinner with our family making Christ the centre. We have left all former traditions of christmas out the window…so to speak. Christmas has morphed into something……something on a worldly scale,,,that I am not quite sure Jesus himself would enjoy. Yes,,,the attitude out there shopping for ” Christmas” is sick……pushing shoving,,,,being utterly rude to others,,,,,and its not just a few,,,,even in our small town it is nasty. Putting Christ back at the head of this brought back the” worship” of what the season is truly about…..That Christ loved us so much he came to the world full of sin and died for us in our place……. “http://www.kimclement.com/watch.php” <<>> Regarding Ferguson & The Larger Picture !!! People really should hear this and understand it….TIES DIRECTLY WITH BLOG !!!! Kirk Dom, why do you still follow this self admitted false prophet? You didn’t answer the last time I asked by giving you 100% proof through his words alone. Just gotta chew up the bones and spit out your teeth. Very interesting……..things continue to get more intense! Avi always has great insight. Uh oh! Viera bros are debunking all of Glidden’s work. Viera “doesn’t get it”. He is demeaning the value of the research on the giants at Catalina Island. They just “discovered” the photo. . . what a large mucilaginous whopper of confabulation! Yes. It appears History has given credit to Viera for the photo when I was the one who showed it to him in the first place. I’ve learned something here. Never give anyone anything until you pubilsh…. period! He discovered nothing. for the preaching of the GOSPEL of JESUS CHRIST to the muslim people with Signs and Wonders and FILLED with The Spirit of God…. ….and may this be … all for The Glory and Honor of God !!! If JESUS did it back then He can do it again !!!!!! Hallelujah !!!!!! If you shop at Things Remembered, the store that specializes in personalized gifts, beware. CAMERA first learned about this on Mon. November 24, when a supporter reported what she found in the chain’s store on Staten Island. She reports that out of the seven globes for sale, four included a reference to Palestine where Israel should have been. The other three globes included a reference to Israel. You just freaked out all the electronics in my place so bad that the breaker blew. Jeff, a real mojo booster eh? Electrofrying, ya baby! I’m totally irresponsible for any and all damage suffered. Iran, a home for Jews for more than 3,000 years, has the Middle East’s largest Jewish population outside of Israel, a perennial foe of the country. But while Iran’s Jews in recent years had their faith continually criticized by the country’s previous governments, they’ve found new acceptance under moderate President Hassan Rouhani…. Most of Iran’s 77 million people are Shiite Muslims and its ruling establishment is led by hard-line clerics who preach a strict version of Islam. Many Jews fled the country after the 1979 Islamic Revolution. Jews linked to Israel afterward were targeted. Today, estimates suggest some 20,000 Jews remain in the country. It is now midnight here in the great state of Texas. I wanted to take a minute to drop in and wish you all a very blessed and Happy Thanksgiving. May we give thanks to the Lord, for He is indeed Good! Happy Thanksgiving to you as well Jeff. Happy Thanksgiving to you too Jeff! Tonite on Coast to Coast Joel Richardson will discuss his latest work researching which biblical prophecies of the Last Days are being fulfilled on the earth today and what is coming next. 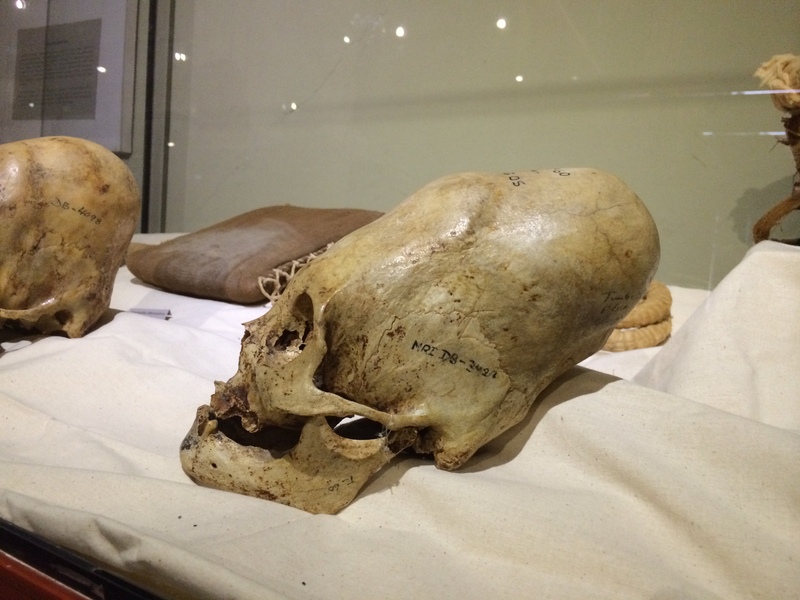 In the first hour researcher Rhettman Mullis provided an update on the search for Bigfoot and the latest research in the field. According to Mullis, Bigfoot activity increases in the fall as the creatures move down to lower elevations to feed before winter. Apple orchards are a popular destination, he noted. Mullis recounted the time he chased after a female Bigfoot as well as commented on those who wish to hunt down the supposedly aggressive creatures. Though there are rare examples of Bigfoot violence, it is almost always provoked, he explained, adding that numerous reports show them to be helpful and benevolent.